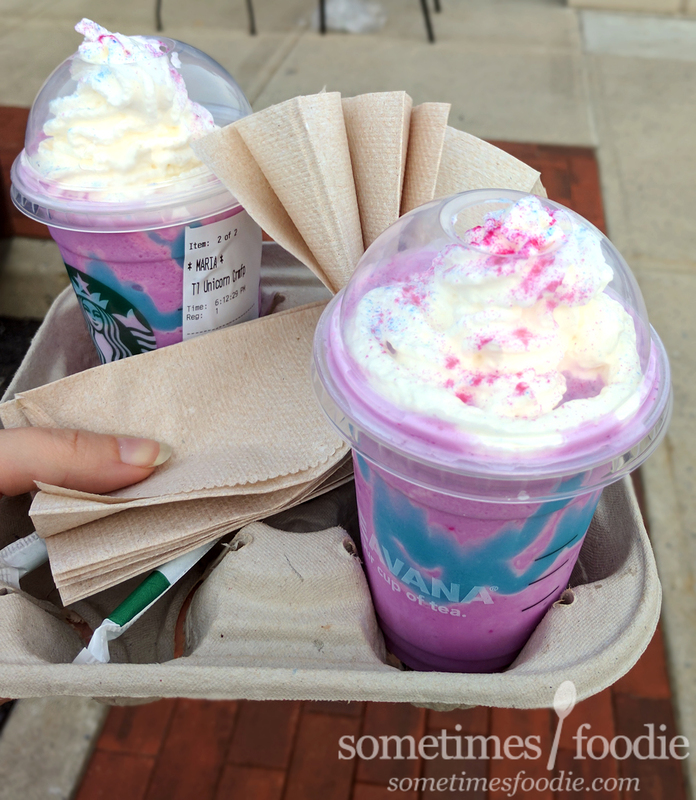 Sometimes Foodie: #TBT Remember Starbuck's Unicorn Frappe? #TBT Remember Starbuck's Unicorn Frappe? To celebrate (finally) having hot water in my home, I took a break from home repair last week to pop into Starbucks. (Something I never do.) Why? Because of unicorns. That's right. 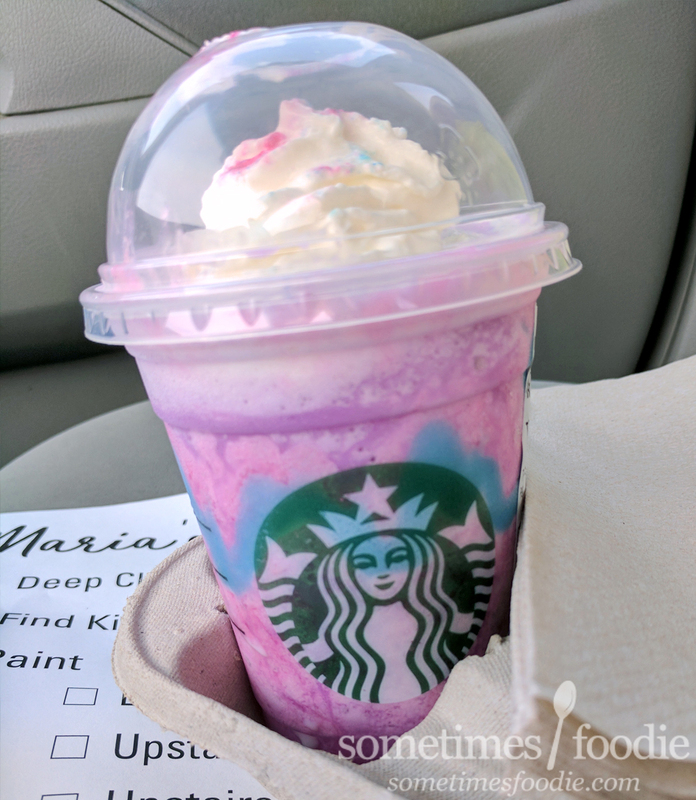 I went against my better judgement and bought into the fancy unicorn drink craze along with all the other food bloggers and Instagramers. What can I say? It's pretty, and I'm a sucker. You can see my name on the one label. I went in expecting this to be undrinkable and, frankly, disgusting, and it kind of was, but to give it credit, it wasn't as spit-take-worthy as I thought it'd be. The frappuchino base is a creamy one, similar to the strawberry and green tea flavored fraps before it (which I am not a fan of). Despite it's purple-magenta coloring, the base is actually mango flavored. Well, at least Starbuck's says that it is. In real life, the flavoring barely noticeable. I could tell there was a little something fruity hidden under all that fluffy vanilla-ice, but I wouldn't have been able to guess what it was had I not been told. All-in-all, the base was weak, but still drinkable. When mixed, Starbucks promises that this stuff with change color as well as flavor. I gave it a try and, like I thought, that was a load of bologna. 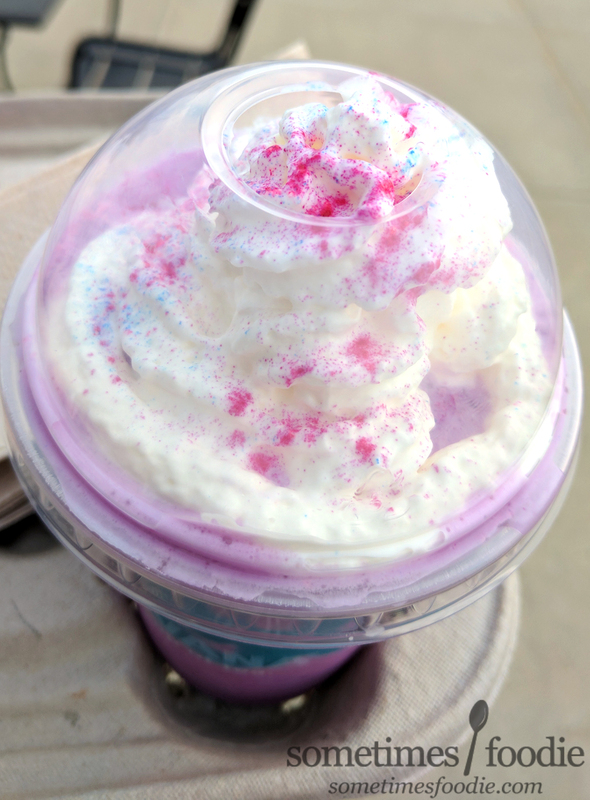 The base did change to a slightly more pink color, but I think that's because the purple color was mixed up with the white whipped cream base, and other mix-ins, not because of a magical flavor change. Speaking of that, it doesn't taste drastically different either. There's not a ton of blue sour mixture in here, so when I mix it up, it just looks messier with the same bland mango creme flavoring as before, and a slightly tangier after taste. 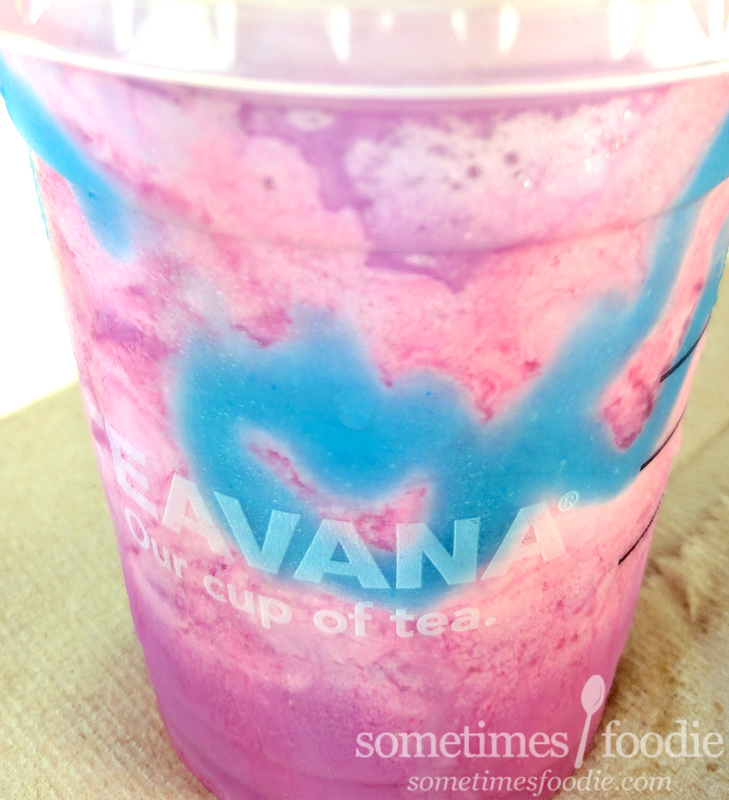 It's not rocket science, or magic, it's slightly different because it's all blended together. Like if you took a vanilla ice cream and fudge sundae and mixed it up, you'd get a chocolate milkshake. I took a few more sips of the mixed unicorn mess, and even though I felt a financial obligation to finish it (because it's a fancy Starbucks drink and I very rarely ever indulge), it just wasn't worth it. I tossed this cup of broken promises in the trash. My expectations were so low that I made sure the barista made my drink a TALL and not the advertised grande. (Which is fancy coffee-overlord speak for "small", even though it's only slightly smaller than advertised grande/medium and not much cheaper.) Even at this smaller size, and price point, I would never repurchase it or recommend trying it for yourself. 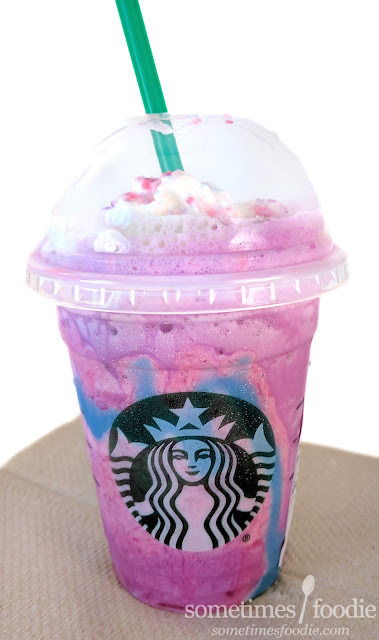 When this was announced, my gut instinct told me that this drink was all flash with no substance, and I was Right. I didn't enjoy it at all. Not even for novelty social media photo purposes. Bottom line is these limited edition offerings aren't quality drinks, they're social media props with a short shelf life. If they release a quality product I might revisit them, but for now I'm happy standing on the sidelines watching the media hype and negative reviews roll in, wallet intact.